Inshore trips are generally shorter because of their closer proximity to St. Thomas. Fishing the inshore cays, lagoons, and reefs around the island is an excellent way to catch a wide variety of fish while providing the excitement of multiple hook-ups throughout the day. The average run to these locations is just a few minutes through the scenic Charlotte Amalie Harbor. 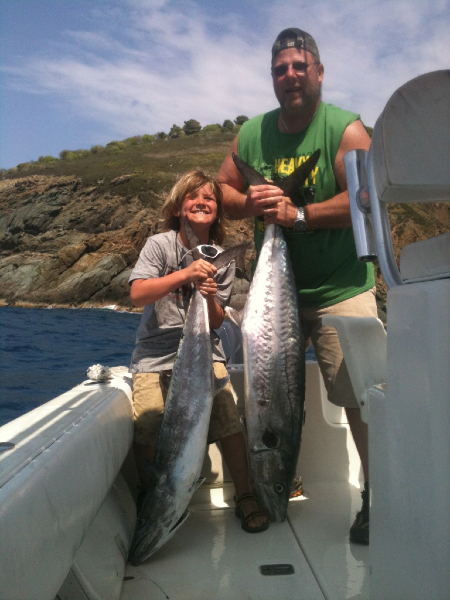 Nearly all inshore fishing is done within sight of land offering spectacular scenery of the St. Thomas coastline. Inshore trips are perfect for kids and families with calm waters and a limited time frame, but even the most experienced angler can hook up with a monster Barracuda, huge Kingfish and even the occasional Sailfish! 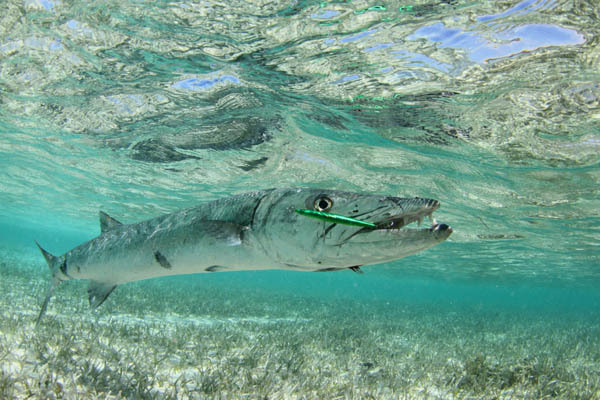 Inshore trips generally target species such as Kingfish, Barracuda, Tarpon, Bonito, Jacks, Yellowtail Snapper, Spanish Mackerel, Blue Runners, Rainbow Runners, Grouper, and Snook. Capt. Alvin utilizes live-bait fishing to give the angler the best possible shot at hooking up with multiple fish throughout the day. If you prefer to fish using lures, we have a selection of casting gear ready to go and Capt. Alvin would be happy to help you rig up for fishing in these waters. If you decide to bring your own gear and would like to focus on a particular type of fishing, just let us know and we’ll make it happen.